Barbara Hepworth sculpted outdoors and Janet Frame wore earmuffs as she worked to block out noise. Kate Chopin wrote with her six children ‘swarming around her’ whereas the artist Rosa Bonheur filled her bedroom with the sixty birds that inspired her work. Louisa May Alcott wrote so vigorously – skipping sleep and meals – that she had to learn to write with her left hand to give her cramped right hand a break. 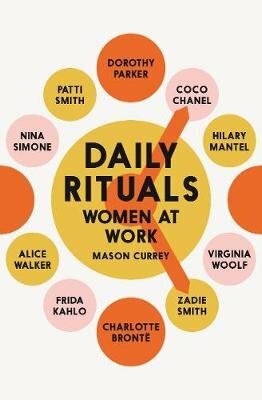 Filled with details of the large and small choices these women made, Daily Rituals: Women at Work is about the day-to-day lives of some of the world’s most extraordinary creative minds who, whether Virginia Woolf, Charlotte Brontë, Nina Simone or Jane Campion, found the time and got to work.